Education marketing trends for 2016? Another list? I have followed marketing trends for over 25 years of my career (both offline and online). This year, I decided to take a swing at crafting my own. Here is my list of what I see as the education marketing trends for 2016. My Myers-Briggs personality type is an ENFP, so this list relies heavily upon my intuition. But I believe my track record will back up my predictions. Early in my career, I had just heard about this new technology known as the “Internet.” A friend from church who was a computer tech showed he how he could use a program called Mosaic to connect to “web pages.” At the time, my wife was in her post-graduate education and attended Wright State University. As she studied at the library, I would explore this new world wide web by visiting sites such as NBC, Saturn cars, and a small bookstore named Amazon. I eagerly shared this new finding with my boss at the time and predicted that this may be the new way of communication. My logic was that since we were designers and marketers, this is probably something we should learn about. After initially dismissing my discovery of the “Internet” as a fad, he went on to sell the first website that I was asked to design and develop. After six months, I was able to create my first website from scratch. I went on to design and develop several more until 1997 when I worked with my alma mater, Anderson University, on my first education website (which was also one of the first websites in higher education and featured in The Chronicle of Higher Education). Since then, I have predicted other education marketing trends including email marketing and social media. This week we will cover Content Marketing. Developing the content in our content marketing strategy is developing the stories of us. It’s the big ideas that we represent. It’s the differentiated experiences we want to create. It’s what we REALLY do for a living. For better or worse — it’s that simple. The J Peterman Company has used stories for years (even during Elaine’s tenure). These well-crafted product descriptions have added value and intrigue to their line of clothing and accessories. The Significant Objects project was created to demonstrate the power of story with every-day thrift store finds. By attaching a emotional narrative, the $1 trinkets sold for over $100 each. Many schools are turning to Medium.com as a format for their storytelling. Marquette University has been using Medium to digitally share their alumni magazine for several years. Others will begin to follow. Nearly two years ago, I created my first blog post that included a social and SEO strategy. The keyword that I focused on was “College Marketing Ideas.” Since then, I have consistently ranked on the first page of Google for those keywords. Google drives between 100 – 150 new users every week to my website from that content. When I re-promote that blog post on social media, user numbers are driven even higher. Smart schools will begin developing a sustainable blogging strategy that will provide answers to questions for their prospects. All of the content within your marketing plan does not have to be original. In fact, by not offering curated content you miss the opportunity to provide even more answers to your audience. Your school will also be seen as the authority on the subject matter you curate. As part of our social media strategy work, we always identify other content sources that will support the school brand and mission, providing your audience the tools and sources to regularly share. While we have posted about rich media and other content forms before, more and more schools will start to incorporate various formats in their content marketing. By using strategies such as “evergreen content,” schools will take one piece of content and stretch it into multiple formats to be repeated to drive traffic over and over to your digital outposts. As your school develops your plan for content marketing for the 2016-2017 year, let us know what you are seeing and how you plan to use the tools available to you. 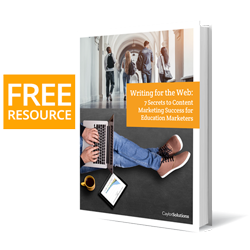 If you are not sure, why not schedule a free consultation to learn how your school could use content marketing to your advantage this year to meet your enrollment and development goals. Next week, I’ll cover part 2 of our 2016 education marketing trends by discussing how video should impact your marketing this year. 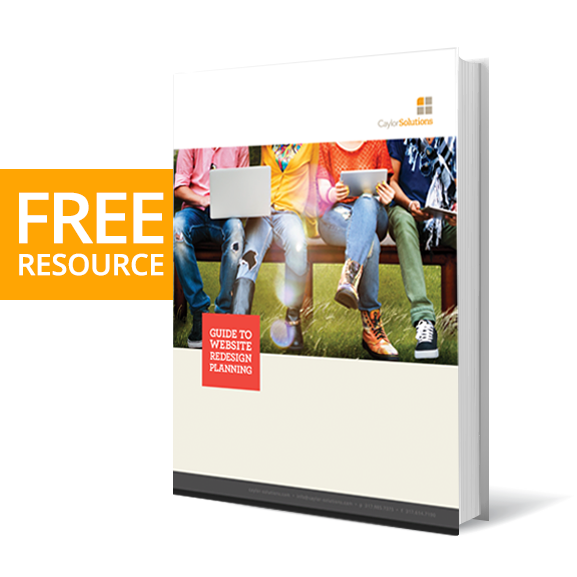 Do you have additional education marketing trends that you predict will gain traction in 2016? Leave a comment below.